Whenever I hear announcements of new omnibi or Absolute editions of particular graphic novels or storylines, my imagination naturally wanders to my wishlist of books that I want to see appear in my greedy hands. Toward the end of last year, there was word of new collections, deluxe editions, omnibi, and Absolute editions from DC Comics that are being released this year. Within that list were, much to my comic book loving pleasure, collections on my personal wishlist. I was happy to see that a first volume of the Batman run by writer Doug Moench and artist Kelley Jones was among the list. DC, in my opinion, needs to release more great older and classic, as well as obscure, runs like this in their entirety like Marvel Comics does in their omnibi. There’s definitely a market for them, with these collections appealing to the fans who read them when they first came out (such as I did with the Moench/Kelley run) and to new readers who will be discovering classic stories that can fill them with as much wonder as the veteran comic lovers felt when they first cracked open the single issues. I’m also excited for stories I never had the chance to read that are finally being released in beautiful and complete volumes, such as Grant Morrison’s legendary “Doom Patrol” in an omnibus edition and Kevin Smith’s “Green Arrow” run in a deluxe edition. This is a great start, but there are still many more stories from the vault that could and should be released in a format befitting their greatness. Marvel Comics releases a plethora of omnibi. Now it’s DC’s turn to step up to bat. 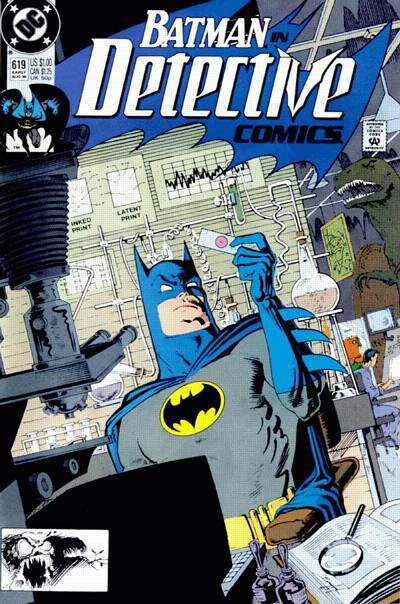 The holy grail of collections for me would be the release of writer Alan Grant (along with John Wagner for a few issues) and artist Norm Breyfogle’s run on Batman in multiple volumes of omnibi. They worked together on the “Detective”, “Batman”, and (now-defunct) “Shadow of the Bat” titles. I would be in pure comic book heaven if I could finally see their stories on beautiful paper, remastered. When I began reading comic books at age eight, their collaboration was one that moved me, inspired me, and ultimately became my favorite run on any series. It was the definitive run of my childhood and, it seems, many other people growing up during this time. I still consider Breyfogle’s Batman to be the embodiment of how I see Batman and believe that his and Grant’s artistry added to the magic of Batman’s mythos. They introduced Tim Drake as Robin in 1990 and also co-created such memorable villains as The Ventriloquist and Scarface, Zsasz, Anarky, and Cornelius Stirk. Breyfogle, along with writer grant, to me, are masters of emotion, bringing out the humanity and the dynamism of Bruce Wayne. 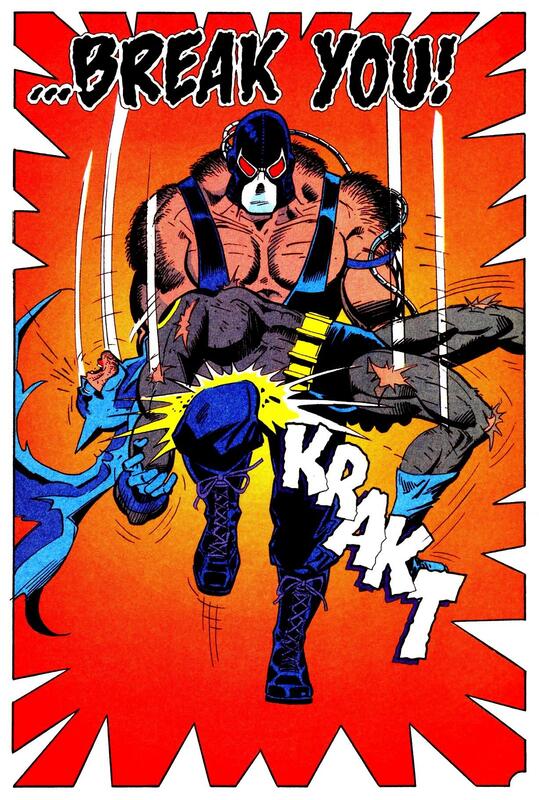 Batman is crippled by Bane during the “Knightfall” saga. Art by Graham Nolan. The “Knightfall” saga that ran from 1993 to 1995 deserves multiple omnibi in order to fully enjoy this epic Bat-story. Currently, there are three trade paperback volumes that collect the lions’ share of the three parts to this epic: Knightfall, Knightquest, and KnightsEnd. Despite the availability of these volumes, there is much that can be improved upon in omnibi. They were released only in softcover and the paper is not of the highest quality. The volumes are not complete and are missing issues that would make the story more cohesive. This is a very important part of Batman’s mythos, where he was crippled by a character that was first introduced during this time time and has now become well-known in the public’s mind due to the blockbuster film “The Dark Knight Rises”: Bane. From Bane wreaking havoc on Gotham City, to the taking up of the Bat-mantle by Jean-Paul Valley (otherwise known as Azrael), to the eventual and inevitable return of Bruce Wayne as the Dark Knight Detective, this journey is one of the greatest in all of comic book history. As a teenager, I was enthralled while this story was happening and it still brings me chills when I read or even think about this Bat-saga. Not only is it loved by it’s fans, but it was highly popular as well. 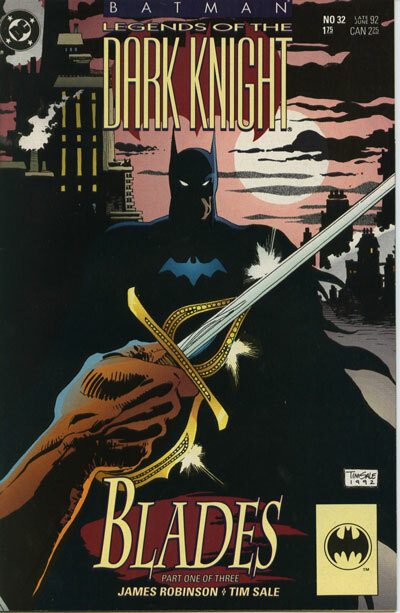 There was a “Knightfall” novelization written by then-Bat editor Denny O’Neil (also creator, with Joe Quesada, of Azrael) and Bane (created by writer Chuck Dixon and artist Graham Nolan) even appeared in “Batman: The Animated Series.” Many creators put some of their best work into the “Knightfall” saga, such as writers Chuck Dixon, Alan Grant, Doug Moench, Denny O’Neil and artists Norm Breyfogle, Tom Grummett, Klaus Janson, Bret Blevins, Jim Balent, and Jim Aparo (just to name a few). They, as well as readers, deserve to have grand editions that befit this majestic story. 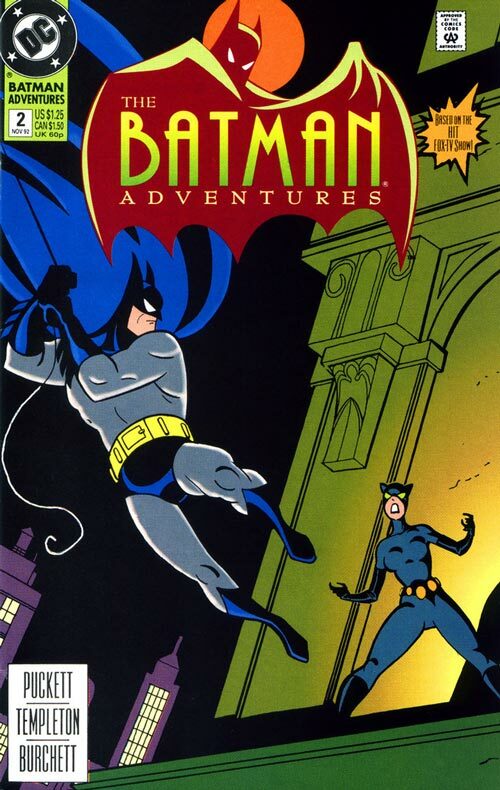 Another great series deserving of the omnibus treatment is “The Batman Adventures”, which was a series that tied-in to the now-classic “Batman: The Animated Series” cartoon that debuted in 1992. It ran for thirty-six issues, two annuals, and three specials (including the classic “Mad Love” by the animated series’ creators Paul Dini and Bruce Timm). Every one of these issues could easily be showcased in one or two omnibi, with possibly a plethora of extras. Like the animated series, the comic book series showcased excellent writing and amazing art. Kelley Puckett wrote most of the issues, with art mostly done by Mike Parobeck and Rick Burchett. However, the amazing Ty Templeton also wrote and illustrated a bunch of the issues. This series wasn’t simply a way to make money off of the television series, but was a labor of love that resulted in true artistry. These creators cared about the characters and it showed in every way. When this comic book series ended, other series that tied in to the subsequent Batman animated series that followed the original were released and these could also be released, based on the popularity of this volume and fan demand. A Batman anthology series that deserves multiple omnibi is “Batman: Legends of the Dark Knight.” This anthology series, which ran for 217 issues, began in 1989 after the success of the Batman movie of the same year. Different creative teams were given a certain amount of issues to tell a story from Bruce Wayne’s early adventures as Batman. This was a great idea for a book and could fill in gaps of Batman’s history that couldn’t be explored in the current time of the main Bat-titles. Despite an extremely rare tie-in with the other Bat-books, many great stories by esteemed creators were given a chance to tell their Batman tale of a Bruce just beginning to hone his skills. Grant Morrison, along with artist Klaus Janson, told a creepy mob tale titled “Gothic” that is in collected form today, as well as Denny O’Neil’s “Venom.” These stories, despite their brilliance, should not be the only one available in trade. Denny O’Neil wrote some other great stories (including the inaugural arc titled “Shaman”), as well as other comic book luminaries such as Doug Moench, Mike W, Barr, Howard Chaykin, Matt Wagner, and James Robinson. Artists involved included such people as Gil Kane, Tim Sale, and P. Craig Russell. Before embarking on their epic “Batman: The Long Halloween” maxi-series, writer Jeph Loeb and artist Tim Sale even did three Halloween specials that are stunning. Although those are already collected in trade form, they can have an omnibus (or at the very least a deluxe hardcover edition) all their own. With such great talent involved in this book, as well as the others I’ve mentioned so far, there is no excuse for this series to be collected. As a kid, I enjoyed the well-crafted stories told in this book and I believe they deserve to be revered as an important part of Batman’s history. A non-Bat book that deserves special treatment is writer Peter Milligan’s run on “Shade, the Changing Man.” The character of Shade was revamped by Milligan and the astounding artist Chris Bachalo in July of 1990. In 1993, rightfully so, it came under the newly-created Vertigo imprint from DC. I even remember (and still own) the first issue (number 15) I bought of Milligan’s run. The stories that Milligan told, along with Grant Morrison’s “Arkham Asylum” and Frank Miller’s “The Dark Knight Returns”, opened my young mind up to ideas and concepts I had never pondered up until that time. Milligan, as well as Morrison and Miller, blew my mind during this time as well and explored themes of sexuality, gender, and the idea of time itself. Although I was young at the time and could not understand every theme that was touched upon in these writers’ books, I was taught to think and feel beyond what any other piece of literature had inspired me to do up until that time. Milligan’s “Shade, the Changing Man” deserves, just as much as the works of Morrison and Miller, to get a grand physical version out to the masses. 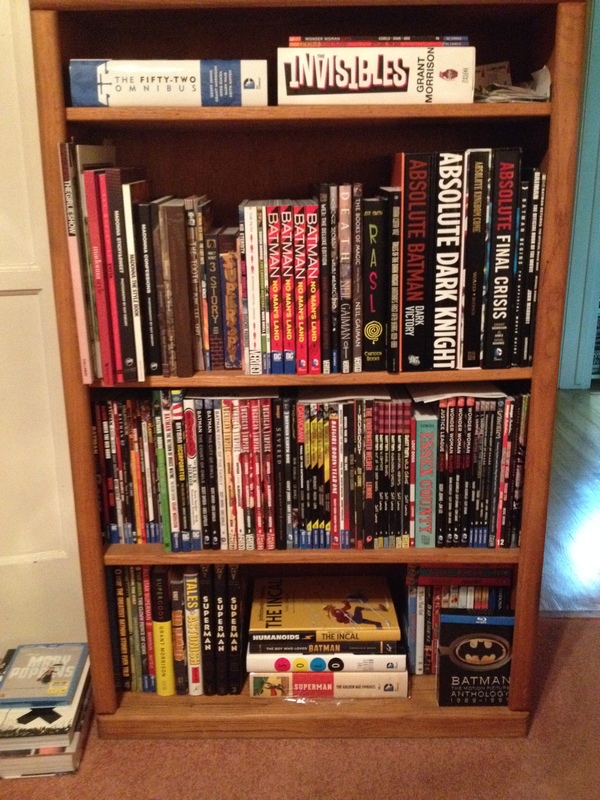 These are just a few of the comic book runs that I personally believe deserve deluxe treatment in physical form. DC Comics would be wise to release these and many other classic works in beautiful collections that can be enjoyed by long-time readers like me, as well as people just discovering comic books through the New 52 initiative. They can discover revered artists such as Norm Breyfogle and exceptional writers such as Alan Grant, who are deserving of profuse accolades. The main reason these stories deserve to be released in a prestige format is simply because it befits the exceptional storytelling and art that go together to make such prestige comic books. History endures and these books are a part of DC’s rich, decades-long history.